‘Wow,’ I said aloud as the Timelord started his last adventure of series 7 or 33 to us long-term fans. My jaw dropped and my smile broke my face almost knocking my ears off as previous Doctor’s interacted with Clara played by the lovely Jenna-Louise Coleman. And this was only in the first few minutes before the title sequence even began. Once that did my heart beat and my hairs on my arms tingled ready in anticipation for what was to come. All I kept thinking of was please do not reveal the Doctor’s name at any cost. It will ruin it. A lot of people have been complaining about this series saying it has lost its edge and that it needs to lose the brilliant Steven Moffat and replace him with someone else. A few out there even want Russell T. Davies back at the helm and also David Tennant and the god-awful Billie Piper’s character Rose. She was always so pleased with herself which annoyed and irritated me and others. I’m sure Billie is lovely but her character was grating especially after she had some speech thing going on that did not sound quite right. Like a fish with a lisp. I for one am grateful for Russell T. Davies in getting it back on our screens which the BBC should have done long ago but failed. As for the film with Paul McGann; well let’s just say he was a brilliant Doctor with an outstanding Tardis but it was a shame about the script. I would like to see McGann return to the show. There’s no reason why he can’t. They can simply go back to his timeline and do a series or three with him in it. I loved Tennant as the Doctor but the series under his wing was hit and miss like people are saying now about series seven. It was too sentimental and at times camp, resembling a Carry On film than a Doctor Who episode. The dark episodes seemed to be under the League of Gentleman’s Mark Gatiss and Steven Moffat. Yes, there have been a few child-like and weak episodes but let’s not forget it was and still is aimed at kids and is intended to be family friendly. So what did I think of this episode as a whole? 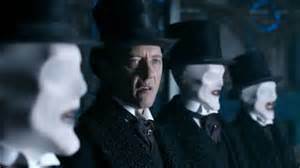 For me it had everything in it from some of the original Doctors in fleeting scenes, the brilliant and beautiful Alex Kingston as River Song (who deserves a spin-off series in her own right), the stunning Richard E. Grant back again, to the comedy trio support of Strax, Jenny and Madame Vastra. Oh, and the creepy looking Whisper Men; the scariest looking creatures since the Silence. But it was the appearance of another Doctor at the end, one we have not seen yet, played by the ever brilliant John Hurt that had me all excited. His Doctor looks troubled, like he did a bad thing for good reasons which he all but said pretty much and I am guessing it is to do with the Time War and the absence of Gallifrey and the other Timelords. This was already hinted at anyway in previous series when gallifrey returned briefly with the excellent Timothy Dalton as the Chancellor. Oh how he would make an excellent Master. This will obviously lead to the 50th anniversary feature-length episode on November 23 2013, a date that will go down in television history. I have so much hope for the 50th as many do around the world for this very British icon to blow us all away and to pull out all the stops in its armoury. It has to be special and I am sure that it will be. I myself have over thirty ideas written down, growing at two per week on average and one of which I have had to erase now, well in part anyway, due to half of it already having been in this episode tonight. But my others are very special indeed. Maybe one day I will be there on the writing team and scaring the hell out of kids as Doctor Who should do as it did me when I was little when I did indeed hide behind my dad’s chair as the Dalek’s came on screaming EXTERMINATE to the Doctor and his companions. I for one want it to be dark again and hope that Gallifrey does return for good for this would open up all possibilities, including the return of a more sinister Master than John Simm’s slightly bonkers but brilliant one. I have always believed the Master to be the Doctor’s older jealous brother. One was mentioned in 2007 episode Smith and Jones albeit briefly. 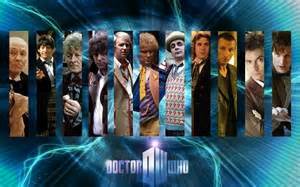 Whatever the future of Doctor Who I hope that it last for another fifty years but alas all good things come to an end and as he is only meant to have thirteen lives then his time is almost upon him but it is sci-fi and anything is possible. Russel T. Davies jiggled with it himself and sci-fi is a fantastic medium to change around. I have a brilliant idea to keep everything traditional and keep the show running forever. If auntie Beeb and the Doctor Who team want to give me a call I am more than happy to share these ideas for a seat at the writers table! 1) The Doctor must NEVER regenerate into a woman. There’s no need for women have strong roles in the series and if Gallifrey does return full-time to the Who universe then there will be many female Timelords so leave the Doctor be please as he was intended. 2) He can never fall in love, not truly for science is his true passion; even though he now has another wife in River Song as well as grandkids from previous series. He will always have a destiny and he must go it alone in the end. It’s the way of a true hero. 3) In Earth-based stories I would spread the love a bit and send him to different countries other than America and Britain (why always London?). China, Japan, Russia, Australia, Ireland and many others are a-calling. 4) I would never under any circumstances reveal his name for this is the whole premise of the series. Once that is done then the series ends. 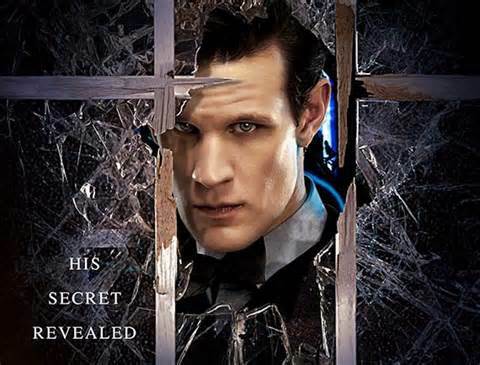 There is no more Doctor Who, only Doctor Smith say or whatever the writers may decide to call him. So we all await in anticipation for November 23 and the biggest television event in history. Well done to all the team on the season 7 finale and good luck for the rest of the year.